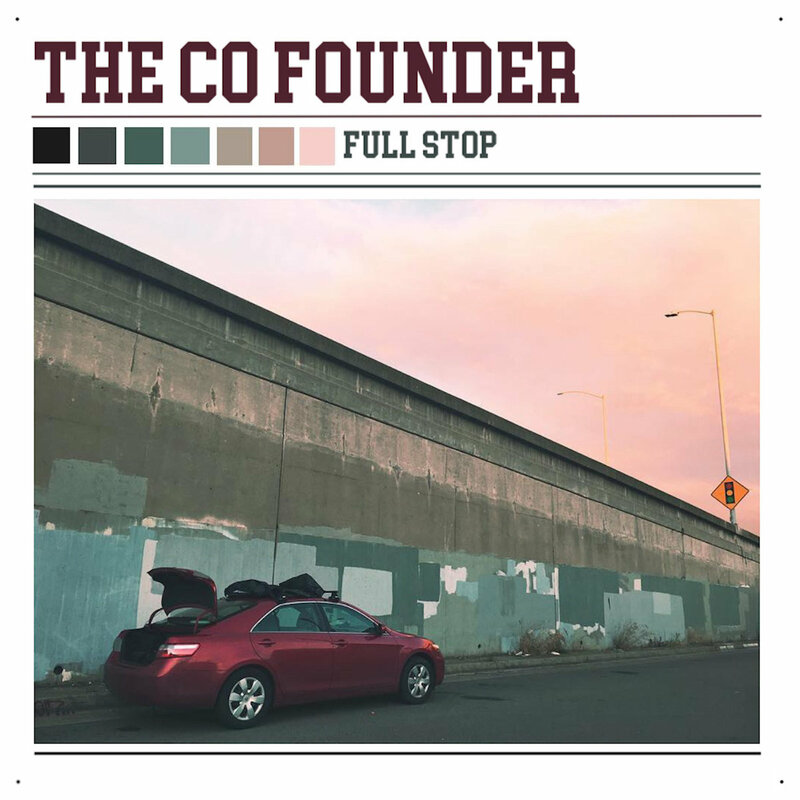 The lovably lo-fi sounds of The Co Founder shine brighter than ever on the Bellingham band’s latest single “Full Stop.” A warm soundscape of harmonizing guitars and frantic yet controlled drums, the track seems to carry all the hopefulness and youth of a teenage summer. While the arrangements conjure blissful naivety, the lyrics of the track hold The Co Founder’s signature style of elusive, ambiguous wordplay and quick-paced wit. The track is airy and easygoing, but holds fast to the emotional integrity and heartfelt feeling we’ve come to expect. Much of this is made possible by their lo-fi sound and echoing soundscape packaged naturally around Hayden Eller’s lead vocals. He sings with approachable and relatable conviction, capturing the listener’s attention while the surrounding instruments emphasize the tone. The video that accompanies the track highlights The Co Founder’s DIY spirit and dedication along with their lighthearted personality. It features a custom version of the running dinosaur game that appears in the Google Chrome browser when your Wi-Fi is offline (just hit space to start!). Throughout the video, we see the dinosaur tackle “DIY Tour Runner” and unlock achievements and objectives like “In-n-Out for Breakfast.” Overall, the video is a fun and unique look into The Co Founder’s touring lifestyle. It also speaks to their hustle and grind as an indie band in general. The Co Founder continues to make music for the underdog. Perhaps the best thing about them is that they don’t take themselves too seriously, and it shines through their tunes. It’s easy to see The Co Founder’s passion and rigorous work ethic, but the effortlessness with which the music presents itself is an absolute pleasure to hear.